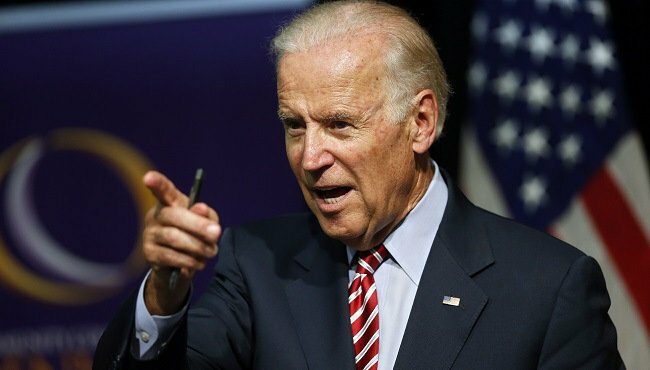 VP Joe Biden has called Mohammad Youssuf Abdulazeez, who killed four marines and a sailor in Chattanooga in July, a “perverted jihadist”, despite no official determination of motive. Speaking at a memorial service in the Tennessee town, Joe Biden also called the suspect a “perverse ideologue”. According to authorities, Mohammad Youssuf Abdulazeez acted alone when he attacked two military facilities in Chattanooga. However, the FBI has said it has not yet been able to establish a motive. Joe Biden was joined by Defense Secretary Ashton Carter and families of the victims for the service, a month on from the July 16 attack. The vice president alluded to the recent loss of his own son Beau Biden, a former attorney general of Delaware who died from brain cancer in May. “I wish I were not here,” he told the families. “I didn’t have the privilege of knowing any one of them personally but oh, I knew them,” Joe Biden added. FBI investigators say Mohammad Youssuf Abdulazeez, 24, acted alone in the crime but say they are still unsure whether he was inspired by radical ideology or driven by mental illness as his family has suggested. “The meaning of their killing is yet unclear, what combination of disturbed mind, violent extremism and hateful ideology was at work, we don’t know,” said Ashton Carter. Mohammad Youssuf Abdulazeez, a former engineering student, was shot dead by police after opening fire at a military recruitment centre and later a reserve centre 7 miles away. Ashton Carter has ordered the military to review its procedures for protecting American troops inside the US and to step up security at recruiting stations.